If you have a septic tank, it comes down to two things; either have a professional do regular septic pumping every two to three years or neglect your tank and have to spend lots of money replacing it. Septic tanks are designed to work a certain way and regular maintenance ensures that they remain in this condition for a long time. A typical septic tank takes in all forms of waste from your home. When it mixes, it automatically separates itself depending on its density. The heaviest matter, called sludge, stays at the bottom of the tank. At the middle, gray waters settle while the top is made of scum that floats to lead to the drainage area. The top part is made of organic matter that is absorbed into the soil just above the water table to avoid contamination. Usually, a septic tank works perfectly until something goes wrong or it is neglected for too long. You don’t have to wait for this to happen to call in the experts. Most home owners wait until they notice a problem with their septic tanks to act. The fact that your septic tanks acts as the primary waste treatment for your entire home is the first indication that it needs regular pumping. Sludge accumulates faster than we can track and so the right thing have a professional check the levels annually depending on usage. • It’s about time. If you have gone for three years without having it pumped, you are overdue for service. • Stench – the gases trapped in the septic tank have nowhere to go. It’s time to act. • Lush Lawn – while a lush lawn is every home owner’s dream, you should be concerned if the area around the drainfield as that could be a sign of leaking waste. • Sewage Backup – The site of raw sewage should be the most telling sign. At this point, you will be well served by calling a professional pumping company urgently. Why Call Smith’s Septic Service? At Smith’s, we give you all the details you need to maintain a great septic tank. We know that neglecting your tank for years may and will result in you having to invest in a new one, and so we advise you on how to avoid this expense in advance. Our team not only does a great job, but it also keeps tabs on your tank to notify you when you’re due for maintenance. Great service does not have to cost an arm and a leg and we know that all too well. Our process are customized to suit each person depending on the state of their septic tanks. We inspect the job before we start and issue a proper proforma invoice to let you know the amount of work to be done and the approximate cost. Smith’s is built on community and so your input matters. We have been working on septic tanks since 1959 and through the years, we have formed great relationships that we are keen to maintain. After every job, our customer care department reaches out to know how you feel about our services. We address your concerns swiftly and also get back to you when needed. We note that drainage issues are urgent and at times unexpected, and so we act expeditiously to put you out of your misery. No one should have to put up with a stinky drainage for longer than necessary. For all your septic pumping in York pa, do not hesitate to contact us. 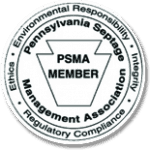 Need Septic Pumping in York PA?